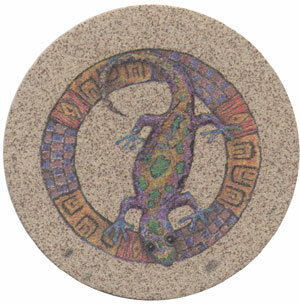 This matched coaster set has a gecko drawing placed within a Native America-Inspired circular border. The set comes with four matched coasters. These coasters are made right here in Arizona.